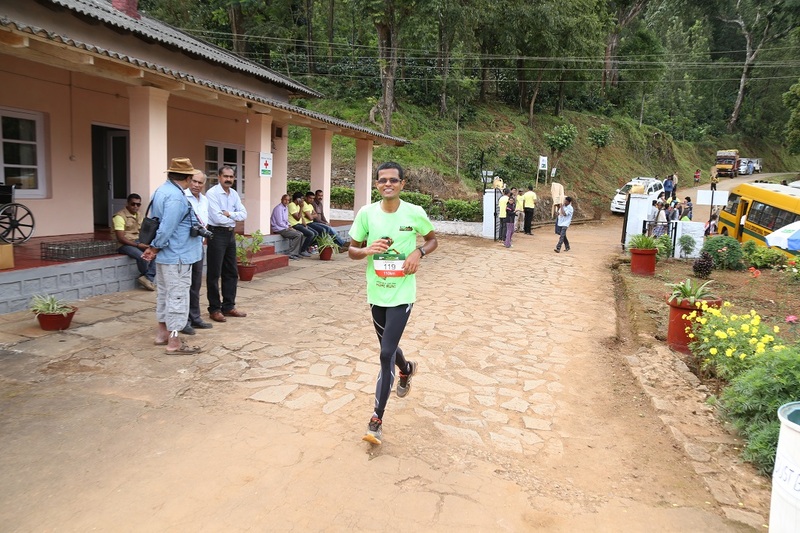 The course - Set in pristine nature, amidst coffee estates, unsuspecting mini villages, country roads and mud trails, Malnad Ultra is a dream Ultra marathon course. It includes never ending inclines (and declines), long ones, steep short ones, ones that top off with spectacular views, ones that curve into more inclines – all kinds of them. The symphony of chatter from all kinds of birds - the piercing peacock call in the morning to the chirping crickets in the evening and sometimes just the eerie silence at night. The shades of green – of coffee plants, of silver oaks, of vegetation draping the misty endless hills. The lasting memory is of the women and kids from the villages in loud cheer as the runners approached them, giggling, clapping, jumping up and down, what joy! I folded my hands, closed my eyes in a silent prayer to Lord Krishna close to the “Summit”. Everything that you do, just faded away in front of such magnificent creation. My own race - I had the perfect race. Avoiding a Did Not Start (DNS). The cheers of the 110k & 80k was getting louder at a distance, I reached the start point, still fumbling with my bib. I said a quick hi to Athreya and we were off. I took the first available detour into the coffee bushes, for my morning ablutions. When I rejoined the course, I was already DFL – Dead Freaking Last. I began passing runners one by one (something that I did for the next 14hours). You will be saved the agony of a long post – I don’t remember much, it’s all mostly a blur even 2 days after, but for some highlights. From the elevation profile, the course went mostly like this – 10k down, 10 up, 20 down, 10 up (to summit), almost 30 down to 80k mark, 10 up, 10 down, 10 up. The course gets you to Lalbagh guesthouse in 30kms, then loops a 50k course, then back up to K’gundi (30k). My plan: My plan was to be easy for the first 30k to Lalbagh, be steady for the next 50k till Lalbagh (perhaps finish this in 12hrs) and then do what I can, in the uphill to Kemmanagundi. I did not plan to take forced walking breaks, but had decided to walk all uphills; albeit briskly. It’s good to have a plan, you need something to trash. How wrong I was on the course reading. There was no 10 up, 10 down. It was just simple ups and downs, ups and downs, more ups and downs. But what was good was that the downs were runnable (unlike some of the steep downhills in the trails in the Cinderella trail run). I just ran with a watch, the km markings were once every 2km (if you didn’t miss seeing them). I thought I was doing better than 10kmph speed. 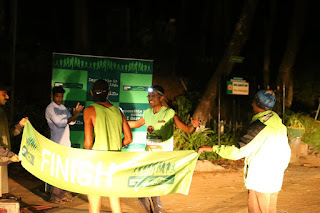 But only reached Lalbagh at 9:25AM; 3.5hours for the first 30km, I mentally prepared myself to finish only past midnight. I was slower than I expected, not according to plan. 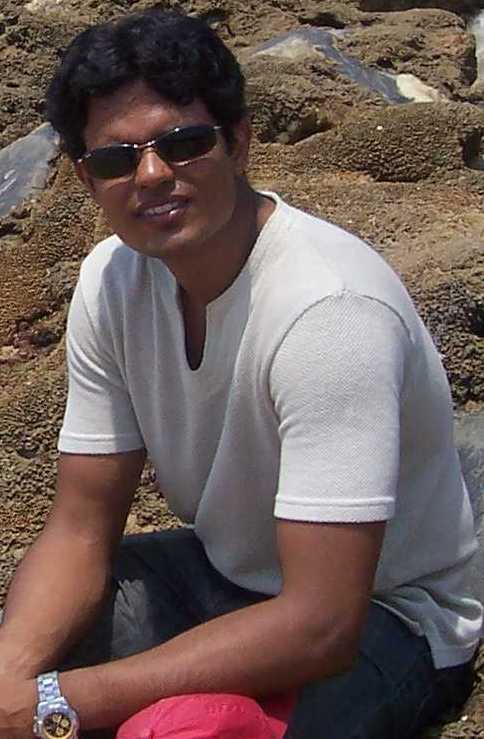 By the time, I had eaten (while on walking breaks), 2 idlys, kesari bath and Khara bath. This stretch was much better than plan and what set me up for my super amazing finish. Read on. I don’t remember doing anything different. I had to stop once to stretch my thighs early on, at 35k. I slipped on a twig once, tripped on stones & uneven trail a couple of times, but luckily held my good. There were long down hills, running a few kilometers at a time. I ran them steady, passing 2 ponds in the valleys. Then the long climb to the Summit. I passed Athreya in 1st place coming down, about 20mins behind him, with a few other 110k runners between us. The Summit, overlooking the Bhadra reservoir was spectacular beyond words. I said a quiet prayer and carried on. I think I was there at the Summit by 11:45 or so, 6hours for 50km. Back on plan. I took a detour into the DodKhan rest area to grab a quick Curd rice packet “to-go”, 56k or so. I polished off the yummy curd rice on the uphill in the next km or so. I loved the boiled eggs available on some water stops. Sadly, had to give the bisi bele bath a pass. At some point, I had so much food and cocoa vanilla in me, that my stomach went slosh slosh slosh, I had to STOP... eating. The course led us to a serene lake, we run around this to the 70km water stop. There something happened, my competitive side (very deficient side, that is) got switched on. The volunteer there was making a note of bib numbers by category. I joked with him like in other water stops, but surprise surprise, I was 4th on that list. With only 70kms done, I had a long way to go. I caught up with Shaswath by 75k. He was doing good himself, going a tad slow on the uphills, but gutting it out. I was under severe mental pressure at this point – battling between not wanting to be competitive, but still wanting to be ahead of S. But I had settled into a good rhythm by now; breathing deep and steady, no specific niggles and happily no signs of cramps. I was having a salt tablet every hour and downing generous helpings of Cocoa Vanilla & Green Tea flavored energy drinks at each water stop. Shaswath gave me a breather when he stopped to refill his bottle, I went past. Getting back to Lalbagh (80km), I was 3 mins ahead of him. As I was getting into Lalbagh guest house, Himanshu in 2nd place was getting out of there, some 3 mins ahead. I made a quick stop to pick up my head lamp at the baggage drop point at Lalbagh, picked up a boiled potato, poured water on my head (like I did at every water stop) and blurted out of there, sending my love to my family via Reena. 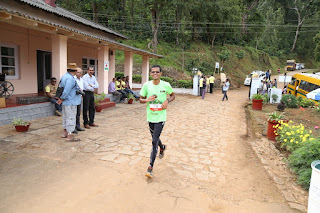 At this point, with H (who had won the Bangalore Ultra last year) and Ath ahead of me, I was more concerned of S catching me up than me moving into 2nd place. In about 5-6kms, H started getting to my sight. He was slowing, taking walking breaks on flats and running downhills. I was feeling strong enough to run some sections of uphills at this point. I was squeezing a few run paces in between long uphill walks. I caught up, went past, acknowledge his greeting and never looked back. Actually, I didn’t want to look back, to see how the others were doing. My goal was for me to finish strong. I never came into this race wanting a place on the podium. I brought back focus on what I needed to do, power walking the uphills, using the hills to rest the running muscles and vice versa. At each water stop, I got updates that I was second and the closing gap with Ath. “10mins”, they said. But you know in India, 10mins can be anywhere between 2mins and an hour. I had no hopes (or wish) to catch up with Ath. Some steep inclines later, I turned into the last 7km of concrete uphill road to the finish line. It was 6:55PM. By now I was running with my head lamp on for sometime now. In that small pool of light, it was difficult to notice the uphills. I was feeling good and running some sections of the uphills as well, cutting corners, dodging headlights of oncoming vehicles. The last 2kms slowed me down, it was bad potholed roads, difficult to discern the depth in the headlight. I missed a turn and went into the Bhadra sanctuary gate, but soon some people directed me back on track. As I stated up the last km, I saw a torch light ahead. Expecting it to be a volunteer, I shouted at that, to check if I was on the correct route. When he turned, it was Ath. I caught up, he looked done, said he was giddy and had walked most of the last few kms. We walked together for another 200m or so. Then Kieran, the run manager and Reena ran back to us 100m to go. Kieran ran ahead to warn the finish line or our approach. Anand (race director)’s son trotted up with Ath. I held back an urge to sprint. It’s only fair that Ath takes the winning honors. I came in second, a few secs behind. My race was over, you don’t need the 1st place to be on top. 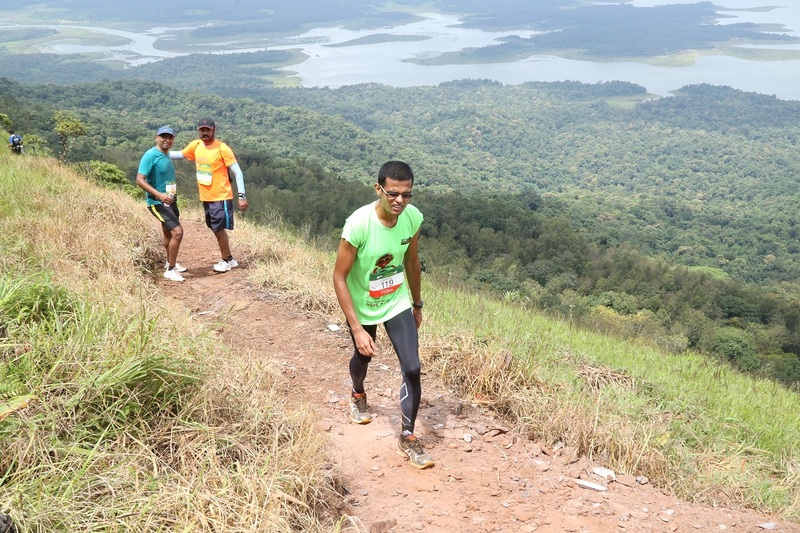 A note of commendation and gratitude to the race director, Anand Adkoli and team, for bringing trail running to this paradise. A thank you to Gauri from activeholidays for providing me a bed for the night, so I didn't have to ride back to Chickmagalur that night. 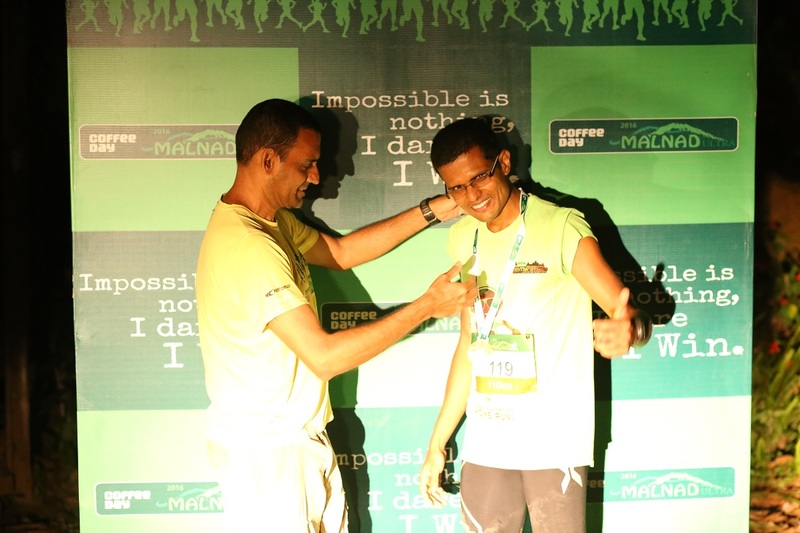 So, how does one run these 100kms, all day runs? Diet – I have been cutting down on junk, no sugar, no flour. Salads (yummy ones) have long replaced rice for dinner. Exercise / training – All through this year, I have run. 5 ultra’s in all, finishing in top 10 in all of them. Many thanks to Shreya for tolerating my high mileage in the last month. On a weekend when they were away, I rode to Nandi hills, parked my bullet there. Starting running down at 4pm from Nandi hills, all the way to my house near RMV. Finished the 56k or so in 6hours. Slept a bit, woke up at 4am and ran back to Nandi. 56kms in 7hours. That was 112km in about 19hrs incl. sleep. Alone, self supported, along the highway. A week after my 12hour stadium run, I ran a tough 50k ultra (1800m ascent) in the US. The last 5weeks were 100k+ mileage, running in UAS campus from 8:30 to 11:00 everyday. You got to gut it out in training. I feel blessed. Thanks for reading. You have discovered your passion. And, with all your heart (and legs) give yourself to it. Amazing stuff. You are an epitome of dedication, perseverance and much more. Congrats Manoj. I like the your spirit and attitude to running. You are an inspiration to all of us. Best wishes for future ultras. Superb. Kudos to you Sir!